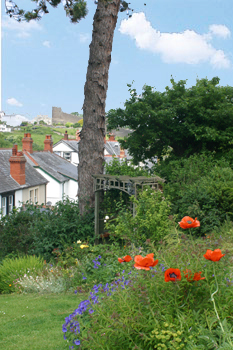 Welcome to Glan Heulog Bed and Breakfast, located in the historic World Heritage town of Conwy, North Wales. Glan Heulog Bed and Breakfast is located in the historic World Heritage town of Conwy, North Wales. It looks onto Conwy Castle and is an easy walk into Conwy Town. Conwy has an excellent bus and train service throughout the area for guests arriving without their own transport. 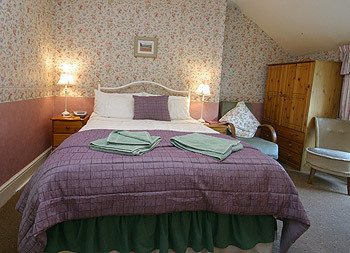 Glan Heulog Bed and Breakfast is the home of Jenny & Richard Nash. They will ensure that you receive a very warm welcome and their genuine care. With their local knowledge they are happy to assist you with your plans to explore all that Conwy Town, Snowdonia, and North Wales has to offer. We have off road parking in our private car park. You are welcome to use the garden to relax and enjoy the views across to Snowdonia. 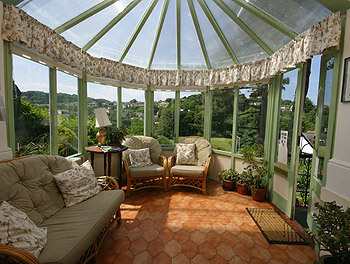 There is a bright conservatory to sit and plan your day ahead, os maps and local guide books are available. 1 compact en suite double which also is available as a single. 1 en suite superior twin-bedded room, which also makes into a super-king bed. 1 en suite superior room with king size bed. 1 en suite double room. 1 en suite twin-bedded room which also makes a super-king double. 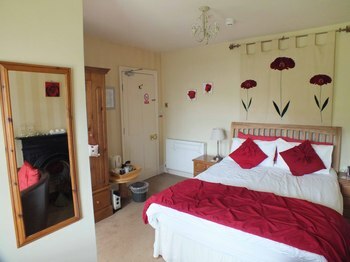 In addition we have 1 twin room without en-suite facilities, but with exclusive use of a bathroom just across the landing. We also have adjoining rooms for use by families (2 adults and 2 children). Please email or call for details since this cannot booked online. All the rooms are equipped with hair, flat screen television/DVD, clock/radio, IPOD dock and hospitality tray and are tastefully decorated for your comfort. To see pictures of all the other bedrooms please follow "Our Bedrooms" link. A substantial breakfast of fruit juice & cereal with a choice of of Full Welsh cooked breakfast or yoghurts & fresh fruit. 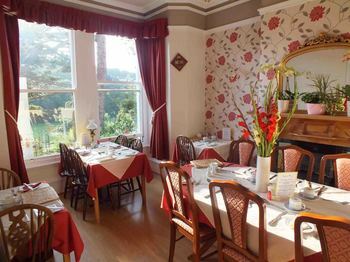 Breakfast is served in a bright stylish dining room with views of the garden and Conwy Town walls. Special diets can be catered for. Unfortunately Glan Heulog bed and breakfast is not suitable accommodation for wheelchairs users. Glan Heulog Bed and Breakfast is strictly non smoking throughout. Parking is at the top of a steep drive.